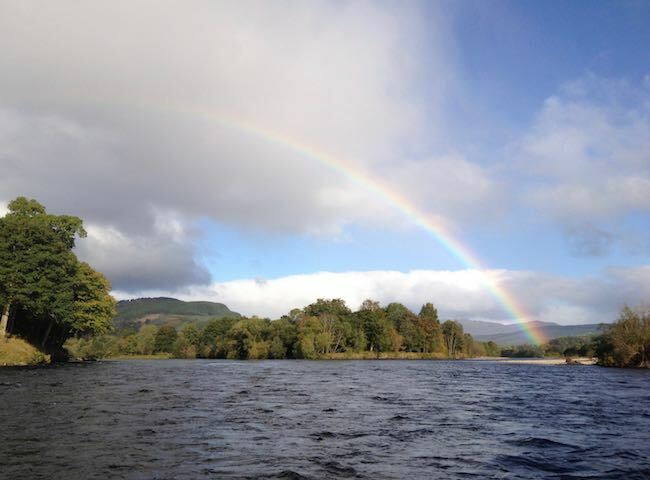 Here's a lovely shot of one of the many beaituful rainbows that often appear over the River Tay. The natural lights shows on this majestic Scottish salmon river are truly beautiful to say the least. 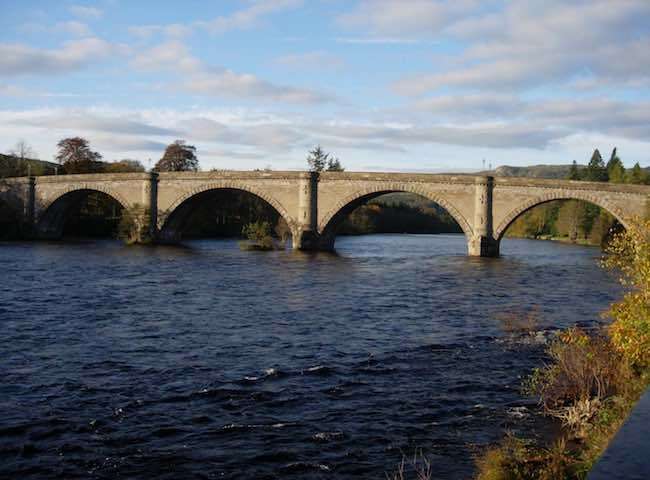 Here's a lovely upstream shot of one of the most famous landmarks on the entire River Tay system. This 200 year old Telford Bridge is a real 'show case' of proper engineering & architectural design skill. 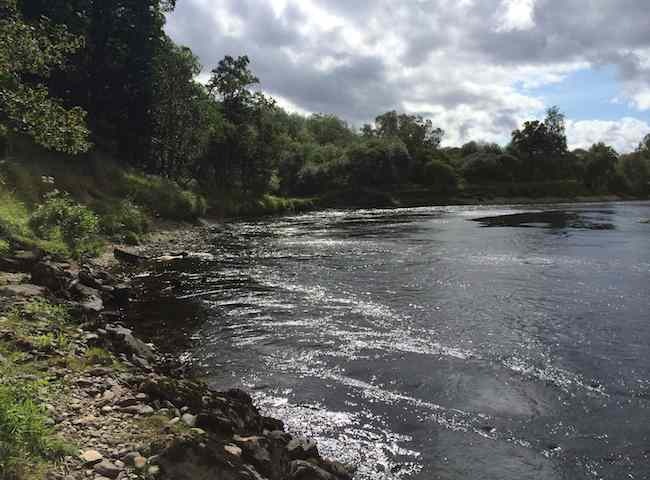 There's no finer outdoor pursuit in Scotland than salmon fishing and the River Tay is one of the most famous salmon rivers. Book a corporate fishing event for your business associates. 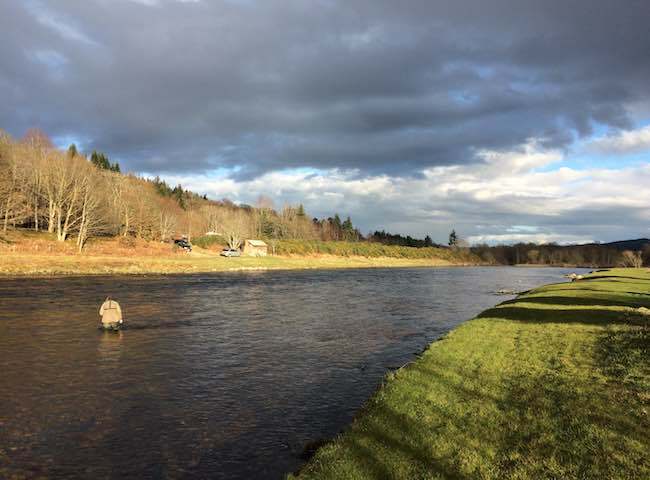 Here's a lovely shot from Aberdeenshire's River Dee which is another fine Scottish salmon fishing venue and another perfect Scottish river we can arrange salmon fishing events on. 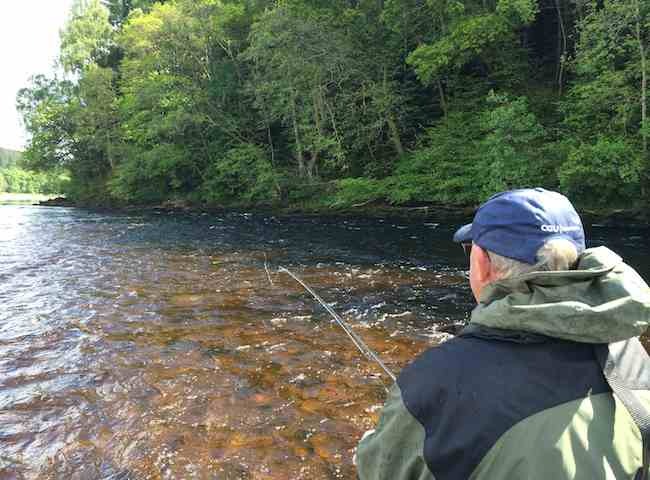 On all our salmon fishing event days only the very best 'highly experienced' professional River Tay guides are selected for each event. The same selection criteria applies to our catering staff too! Here's a sparkling water shot of one of the deep salmon pools of the renowned River Tay. The Tay is Scotland's big fish river and with beautiful salmon water like this it is no wonder why. There's a real sense of satisfaction involved in learning how to fish the fly for salmon. 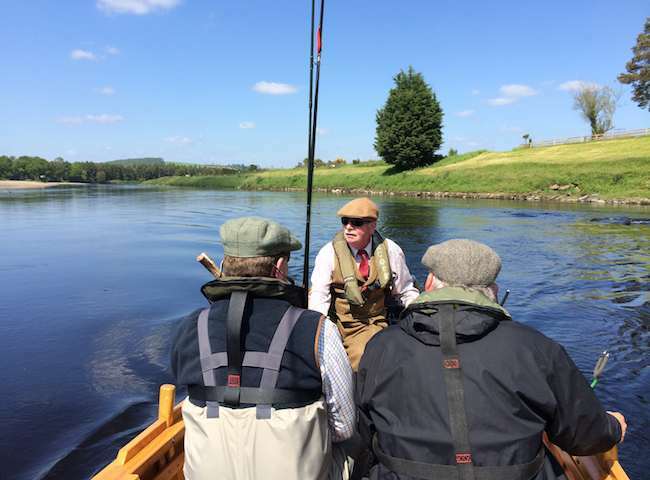 Treat your colleagues to a crash course in this traditional Scottish art form via your own salmon fishing event day. 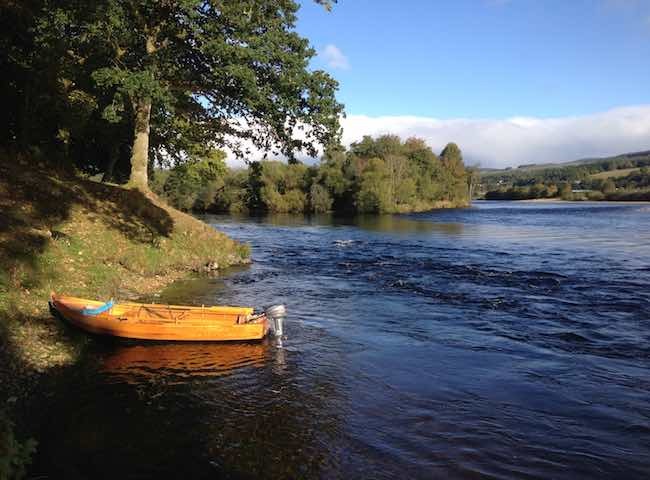 On all of our special corporate salmon fishing event days the traditional River Tay coble boats are also deployed with skilled River Tay boatmen to diversify the salmon fishing approach. 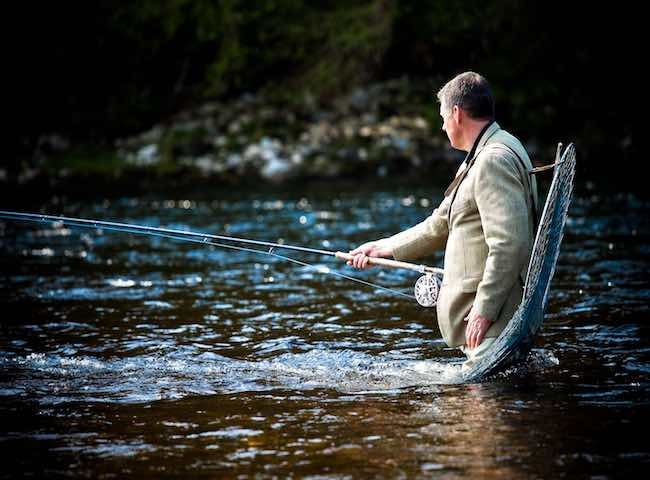 Treat your colleague to a touch of class during 2018 via a River Tay salmon fishing event. 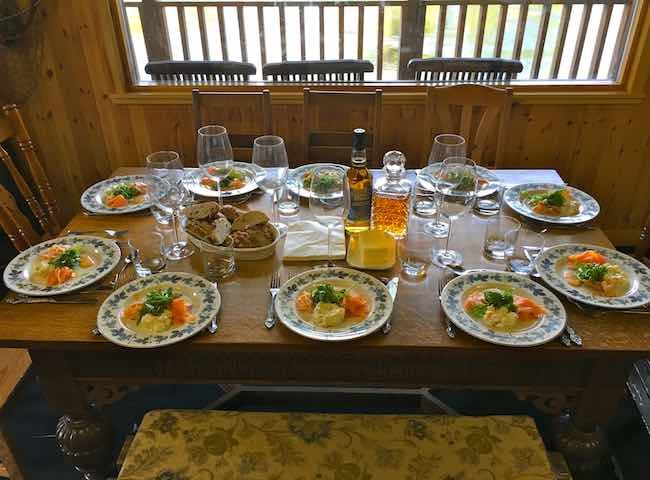 All our renowned fishing days are inclusive of a 'Michelin starred' chef lunch in a luxury River Tay salmon fishing lodge. 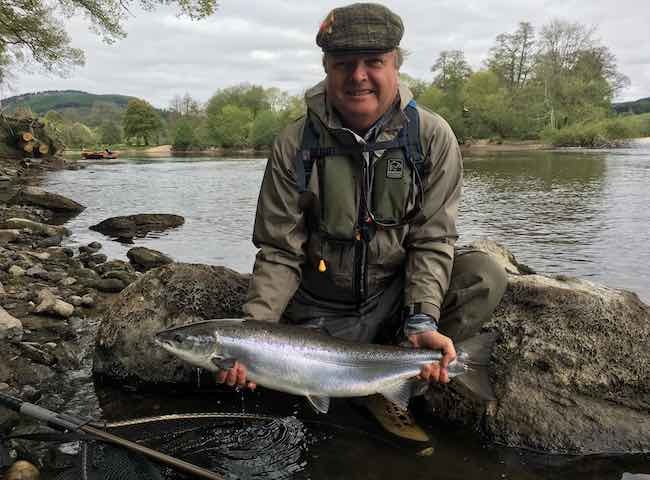 All of our River Tay corporate salmon fishing event days are inclusive of some of the most respected professional salmon guides in Scotland to make sure you're in with the optimal chance of success. 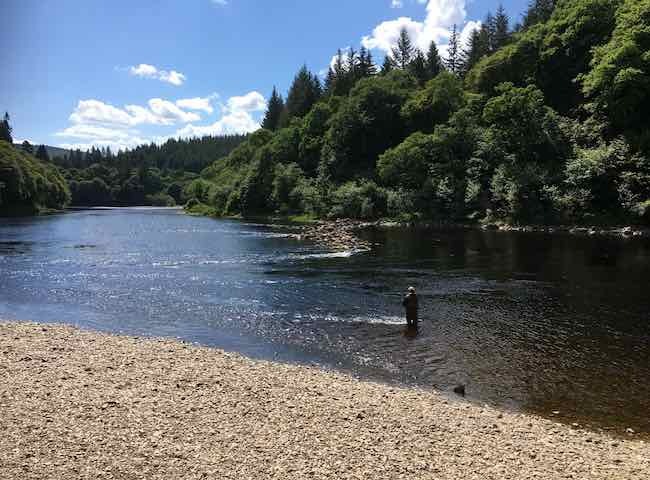 Here's a lovely shot of the River Tay on the glorious Dunkeld House salmon fishing beat which is one of our preferred Tay salmon fishing venues for hosting salmon fishing events.